We’ve now been at this for about 6 and a half months and I had no idea where this was going when I started. It all began as kind of a whim and because of a few complaints from friends on Facebook saying all I ever did was post pics of food (all said in a kidding way….I think). I had no idea how to run a blog, codes needed, or the work/fun invoved. We are now approaching 18,00 views, we have 62 FB followers, 342 followers on Foodbuzz and 375 people receiving e-mails notifications and have been viewed in 28 countries! We’ve received the Leibster Award, the Versatile Blog Award and the Kreative Blogger Award as well as being tagged in Food Blog Tag. So where are we going from here? Well, we’ll continue to post up blogs, researching new and exciting things to cook (Heck, maybe I’ll even whip up some kind of dessert for once). I’ve been looking into photography and trying to learn how to take better pictures. I’d like to get some software for editing pictures as well as learning more about my camera. Been looking into building a light box (Mrs. G is gonna love that one (sarcasm) ) I recently signed up for The Crazy Cooking Challenge, where once a month we are given a secret ingredient and are expected to create a meal out of it. That should be fun. Honestly, I don’t know where we are going, but I hope you all stick around for the journey. Should be fun. More ‘Cue in 2000 and One Two! Been awhile since I updated this page at all, so I thought I would share some things that are going on with us. Back on May 27th, I was “tentatively” diagnosed with Type II diabetes. I say “tentatively” because I went in to the doctor and they did a blood glucose test although I had not officially been fasting. So a week later, I went and saw a specialist and sure enough I have it. This is something I am going to fight tooth and nail over. Serious diet modifications and exercising. That’s why you may have noticed some of the recent recipes tagged “Diabetic Friendly” and include nutritional info when I can find it. As of yesterday, I have brought my fasting blood glucose down to 106. Still a bit high. More work to be done. I plan on “Wowing” the doc when I go back to see him on the 10th. So we’re still cooking up a storm here and trying to bring you new and exciting cooks. Some of them just might be a bit healthier for you. Hope you enjoy this new spin on cooking. As always, thanks for checking in and we hope you will stick around for the journey. Mr. Griffin; I have been politely stalking your blog since I read of the Swamp Balls… and after you should me how to roll and smoke fatties… I was hooked. Tonight, I stole yet another page of your cookbook and went after the BGE Meatloaf. Now…I consider myself to be somewhat of a Meatloaf savant…. and tackled this cook with enthusiasm. It went well… I won’t bore you with the details… I will tell you I added some Ghost Pepper to the sauce, which provided some interesting kick! It turned out well. Just wanted to thank you for sharing your ideas and recipes… and your presentation is very well done. Sending you a pic on the egghead forum… just for giggles. Thanks again, and keep cooking! Thanks, JD. Glad it went well and glad I could help out. I started this blog for two reasons A)So I could keep track of my cooks and repeat them again (also,it’s easy to pull up on my phone if I’m at the store with no list of what I need) and 2)To help others out and possible inspire them. So your message makes me feel like I am doing that successfully, although I am not an expert by far. I am awarding you a Liebster Award….check my post from today…. I enjoy your blog, alot. Wow, just found your blog via comments on Juanita’s Cocina and Zest Bite. We have a “vintage” hibachi pot that we love so I am so glad I found your site! Glad to have you along. Would love to see some pictures of your hibachi pot. I went over to your site and poked around for a few minutes. I’ll be following you and going through your blog more when I have time. Good afternoon good sir. I hope this reply finds you well. I believe I am exactly where you were when you decided to start your blog. I am there! 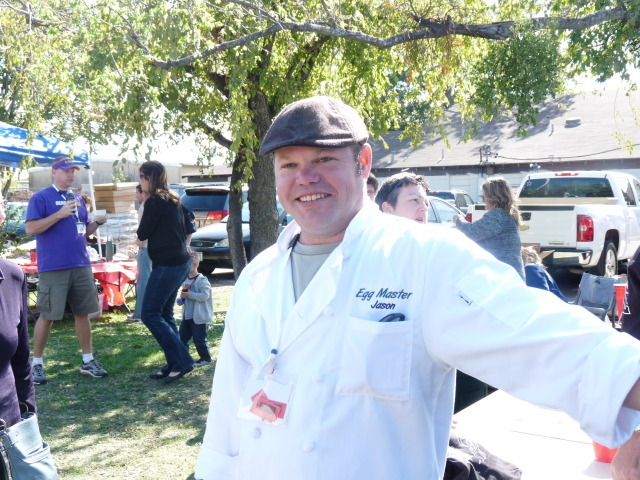 I have cooked for many of my friends and had a blast at the Mountain Eggfest in Hoawassee, Georgia. I just signed up for the 2012 eggfest. I have a large Big Green Egg, the cameras, what I like to think are some interesting and tasty recipes and I have a computer. What I don’t have is the knowledge to take those things and turn them into what you have here. I have some friends with great computer skills, but I would really like to teach myself. Might you have any thoughts or tips when it comes to creating something like this? Thank you kindly in advance. You first need a site to host your blog. I went with wordpress. Its a free site. Once you sign up your blog, you just have to play around with it to figure out how it works. Pretty easy to do. Good luck. Thank you very much. I will head that way now. Your blog looks great! And to find so many recipes great for grilling! Perfect blog find for the summer months! Thanks for friending me on foodbuzz!! Found your site through another blog and just subscribed to your feed. Can’t wait to see what else you’re making! Nice site. I’ve tried a few recipes and they were awesome. I’ve got your site tagged in my favourites. Thanks!!!!! Thanks for following my blog… looks like I’m following in your footsteps. Would love to pick your brain as I don’t know what I’m getting into but would love to connect. Great site. I’m all for following anybody who likes bbq and grilling half as much as me, and with a blog name like bbq365 how could I not follow you? I got your e-mail yesterday. Sorry I haven’t responded yet, but when I get home I pretty much put all that on hold. I’ll e-mail you back, but feel free to ask any questions you may have. I’ll help if I can, but I’ve only been doing this since last August. Can’t wait to check out your site more. Can’t wait to check out your site more, thanks for taking the time to come and visit mine. 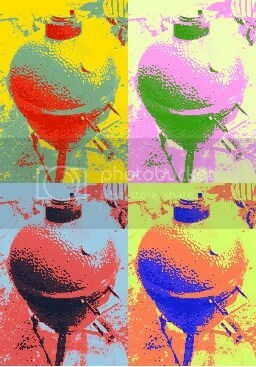 Love the step by step bbq recipes! Thank you. We are in Texas, Dallas to be specific. Me and the Mrs actually grew up down in Corpus Christi (and are trying to get back there). We do a lot of BBQ. Pictures are something I am always trying to work on, but I recently realized that Mrs. G is a better photographer so I’ve been handing the camera over to her when she is available. I do the editing of the pics, though. Love to find new BBQ ideas and sauce. Thanks for following my blog and I look forward to trying some of your recipes. Very excited to have you join the followers of Shut Up & Cook. You are the 100th! Clearly worth a prize or something. Are you attending BlogHer Food this weekend in Seattle? If so, hope to meet you! No, that’s a bit far. We’re done here in Dallas. Have a good time, though. Thanks! Supre interesting…I’d highly recommend if it ever comes your way! Thanks for following my blog. Your’s is fantastic! Love that tri-tip you recently posted. It made me so hungry! I am also going to have to make your ABTs this summer when my peppers start to produce. Thanks again. Thanks for following my blog! It’s always good to find another BBQ afficianado! Looking forward to checking out more of yours. I always search for fellow BBQ blogs. Glad I stumbled on your site. Thanks for following my blog and for liking my Pineapple Sage & Citrus Grilled Chicken post. Your blog looks very interesting and I’m going to spend some more time perusing it 🙂 Have a great weekend! Wow this is a fabulous blog!!! Glad I found it on the egghead forum. Absolutely terrific looking food you cook!!! Thanks. I like yours as well. General Bubbles is a cute lil dog. I’ve been enjoying checking out your blog. Seems like most of the blogs I have stumbled across that are from Texas are amazing. We Texans and former Aussies love our BBQ!!! We think your desserts look AMAZING! Thank you very much. Please check out my post from today on stuffed zucchini boats. I used meat, but it could easily be omitted to make a vegetarian version. Jason thanks for the blog from a fellow egger, I really enjoy your site, very informative. In the picture above I see someone in an LSU visor. Was this picture taken at a tailgate somewhere. I ask because I am an avid tailgater(President and founding member of The Tailgatin’Tigers LSU tailgate club)we regularly bring the Egg to Death Valley during football season. Thank you Todd for taking the time to visit my site and comment on it. That picture was actually taken at the 2011 Plano Outlaw Eggfest. Unfortunately, I do not know who that was. I didn’t get to meet everybody who attended nor do I remember all the people I met. Killer job on this site, Jason! Barbeque is in my soul, so I can very much appreciate the lengths you go to to make these awesome dishes. Keep up the great work on the blog – it’s inspiring! Thank you very much. I’m just trying to share and pass on some of the things I’ve learned over the years. I’m glad I can inspire you. That means a lot to me. Popping the ol’ blog cherry with this post, nice site man. Sould I take the mini-egg to the Hill Country when we go in October so we can mess around with it? Lookin forward to the trip. Of course you should. Looking forward to it. Thanks for the follow and wow, you’ve set the bar really high! I really enjoy reading through your blog and cannot wait to fire up the Egg and try these recipes out. I’m always on the look out for fellow Eggheads. There is so much we can learn from each other. I’ll be watching your site to see what you come up with. i LOVE LOVE LOVE this blog… just stumbled upon it and now its in my “favorites”….. keep up the good work !!! from a NY’er who has Texas on her bucket list!!! Thank you for taking the time to visit and commenting, it means a lot. 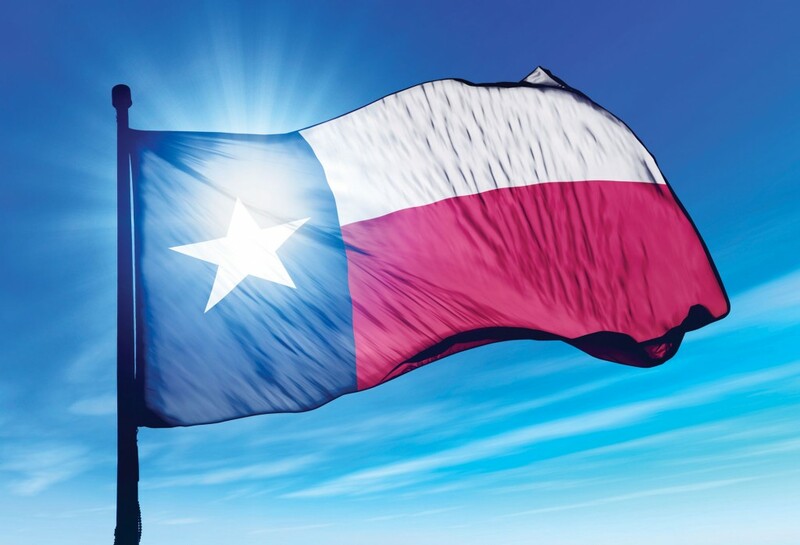 Hope you find something that fills that “Texas” need. Thanks for following my blog. I hope you enjoy trying out some of the recipes and please let me know how they turn out for you. I love the picture on your home page. The food looks delicious! I’ve nominated your blog for the Inspiring Blog Award! Check out my post (http://cookingwithcorinna.wordpress.com/2012/12/16/inspiring-blog-award/) for details. We’re doing a roundup of stuffed meats, and would love to feature yours! We will include a photo from your blog, and a link to your recipe, but not the recipe itself. Please let me know if this is okay with you! That would be awesome. Which one did you have in mind? Can you let me know when you do this? Thanks for checking out and following my blog! I hope you find some recipes on my blog that you can easily recreate for yourself as well. I look forward to following your blog in the future as well! Yep, we’re neighbors. I’ll have to go check them out, thanks for the suggestion. LOVE IT !!! Keep up the good work Sir !! hey man you think i can get the spread sheet for the sausage recipes. Looks like no one has posted here for a bit…just stumbled onto your blog…Glorious sir! I see your most current item being worked on is the homemade bacon from Charcuterie. Just got done with 3 full pork bellies, grossing 40.5 pounds for the holidays. My best word of advice is to vacuum seal the belly while you’re curing. The first few times I tried in a zip lock bag the meat “browned” and “greyed” after a week. Keeping it in a vacuum sealed bag, it comes out a beautiful deep red color. Smoke it on the BGE to an internal temp of 150 with a little shag bark hickory and you’re golden. I’ll be creeping around your blog some more! Thanks for stopping by JJ and thanks for the advice. I will definitely vacuum seal the bellies next time per your advice. I’m actually going to cold smoke the bacon rather than hot smoke it, so I’m not shooting for an internal temperature. I figure once its sliced and fried up it will be cooked through. Just going on advice I’ve picked up on the Egghead forum. Thanks for stopping by and I hope you find some recipes that you would like to try. Let me know what you think. I just came across your blog as I was searching for wing recipes. As I am looking at the variety of tasty opportunities that you suggest, I see that you cook on the BGE – my obsession. Then I see you’re in Texas ( I live in Houston.). Then I see the Sic ’em Bears. My son is a sophomore at Baylor. We love it almost as much as he does. So, thanks for coming into my cyber life. I look forward to trying out your recipes. Sic ’em from a Florida Gator transplant to Texas. Sounds like we have a lot in common. Very cool. Hope you try some of the recipes out and that you enjoy them. LMK what you think. Love to use my egg and was diagnosed with type 2. Would love to get up with fellow Evers. Sorry to hear about the type 2. It is controllable with diet and exercise. Just takes some willpower. Not sure what you mean by Evers? Eggers?